Home / WRESTLING / INDY / Andrea of SHINE Says Get Off The Couch! Andrea of SHINE Says Get Off The Couch! The Roman Show caught up with the young superstar on the eve of competing for the Shine tag titles against the champions the Kimber Bombs, made up of Kimber Lee and Cherry Bomb. Andrea and Marti Belle with So Cal Val make up Valifornia. She competes July 24 live on the WWN Live Network. “The Kimber Bombs are tough cookies they haven’t faced off me or Marti,” she said. “It will be a site to see. But Andrea is now more than just a wrestler. She wants to raise awareness on weight loss. At one time she was weighing over 300 pounds. But after a near tragic accident in Japan she took it upon her self to change her lifestyle. The accident ruptured her ovaries. Her weight comes after being born with a metabolic condition. After an accident, which she went into detail on the show, she came back home from Japan where doctors advised her change her lifestyle if not risk her life. Towards the end, she was diabetes borderline. Andrea took it upon herself and researched to make herself better. She worksout six times a week and there is no stopping her. 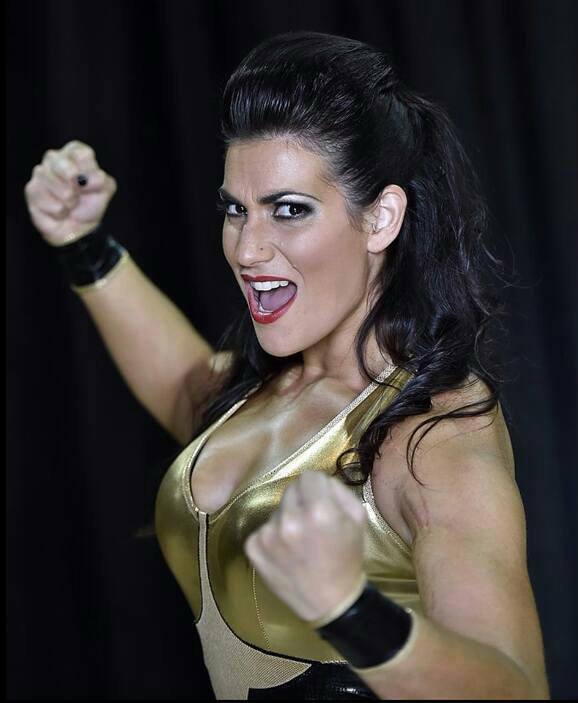 Hear the entire interview as she discusses her NXT tryout, NXT Divas vs TNA Knockouts, wresting in Japan and more. The Roman Show caught up with the young superstar on the eve of competing for the Shine tag titles against the champions the Kimber Bombs, made up of Kimber Lee and Cherry Bomb. Andrea and Marti Belle with So Cal Val make up Valifornia.